There have been hardly a few times in my life so far, when I spent my late evenings doing data analysis on issues that are important to me. This PDF "Indian Food Composition Tables - 2017" is giving me sleepless nights :-) I decided to research on this latest “super-food” that is imported, has a lot of “food-miles” and a lot expensive. When I googled to find out what’s so special about quinoa, most of the websites talk about how quinoa is a “complete protein” - which means it has all the 9 essential amino acids our body needs. *In the table above, replace kodo millet with foxtail millet. Thanks Dwiji for pointing it out. The IFCT table has an error in mentioning the local name. 1) As you can see, the amino acid values in green colour belong to the grains/pulses that are higher than that of quinoa. The amino acid values in pink colour belong to the grains/pulses that are lower than that of quinoa. 3) Most of the grains are lower in lysine but can be easily compensated by taking pulses along with the grains. 5) Most of our Indian meals have both cereal and dal. Choose millets, brown rice or hand-pounded rice over polished white rice. Include a variety of dals in a week. 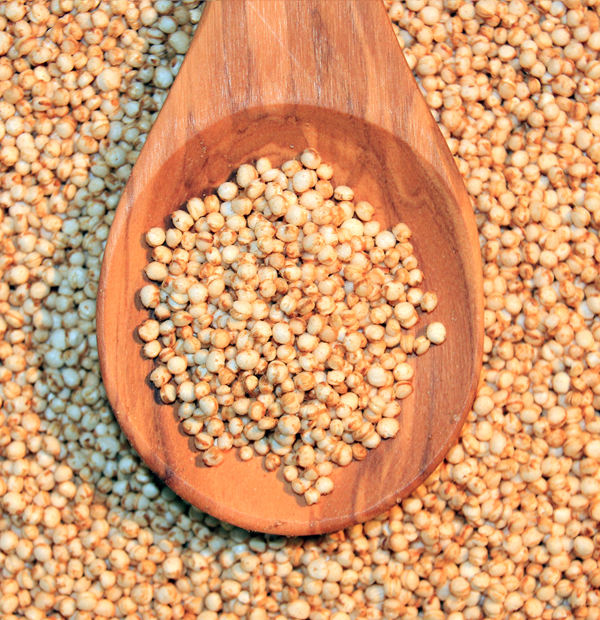 6) All the local millets and pulses are far less expensive, as compared to the imported quinoa. 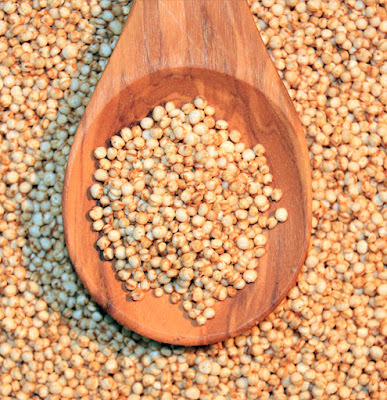 500 gm of foxtail millet is around Rs.50-60 whereas the same quantity of quinoa is in the range of Rs.400-600. It has a higher cost on the environment too. Though there has been news that some farmers in Andhra Pradesh and Uttarakhand are cultivating quinoa, the current demand is mainly catered through imports. It is okay to try out quinoa to see what the hype is all about but let’s not include it in our weekly / monthly grocery list. It is neither good for our local farmers nor for our environment. Frankly, it is an unnecessary expense and you can spend the same money elsewhere on more productive causes. P.S. I'm not sure if the "Total" column would make sense in this analysis. Will figure out more before I comment on it. Thank you for presenting a coherent and well backed argument on why we do not need to run behind quinoa the latest super grain. I completely agree with your message - one needs to balance their diet using (i) local foods and (ii) not just cereal grains but also include other classes such as legumes when building a menu. I would like to point a small error in the source (IFCT 2017) that gets reiterated in your article - A017 is setaria italica which is foxtail millet and not Varagu as wrongly identified in the tables. I have filed a feedback through email and the form on the website (and also posted about it on FB). Thank you for pointing out the error in the source, Dwiji Guru. Let me check the source pdf. Also, I wish the nutrient details are available for all kinds of millets, not just a couple of them.